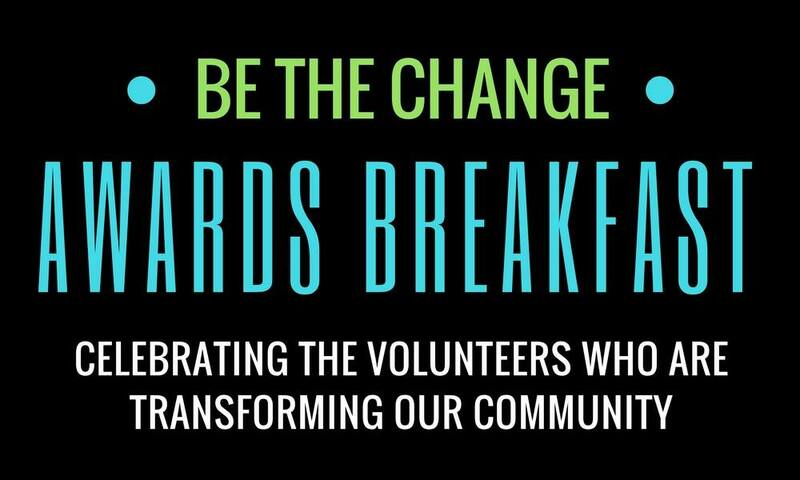 The Be the Change Awards Breakfast was an opportunity to spend time feeling the inspiration of those who do exceptional acts as volunteers in our community every day. This was an event for our nonprofit affiliates, corporate partners, individual volunteers, and anyone who needs a warm, happy feeling and the reassurance that together we are accomplishing significant things! The Be the Change Awards Breakfast was hosted at Machine Shop — an inspiring space for an inspiring day filled with inspiring people! Special thanks to CRAVE Catering for providing an amazing breakfast for us that morning! Katie Steller, owner of Steller Hair Company, served as our keynote presenter and master-motivator. Katie was driven to share stories of positivity in our community and so she created the Steller Kindness Project — a platform to share stories of quite acts of kindness. The goal of her project is to change the world on a micro level that starts with showing up and being kind to the person right in front of you. We recognized several awards winners and shared their stories of service. Thank you Chris McDuffie Photography for creating these wonderful videos about our Be The Change reward recipients. Working with Sanya on this piece was truly inspirational. Her poise, kind heart, and soft spoken demeanor is only matched by her nonprofit work. Sanya is 11 years old and has already accomplished more than most adults. She founded Sanya's Hope For Children at the age of 7 to help children all over the world. Her countless hours of volunteering, and hard work in the community is why she has been given this award. Thank you to everyone who came out to help celebrate these people doing amazing things!